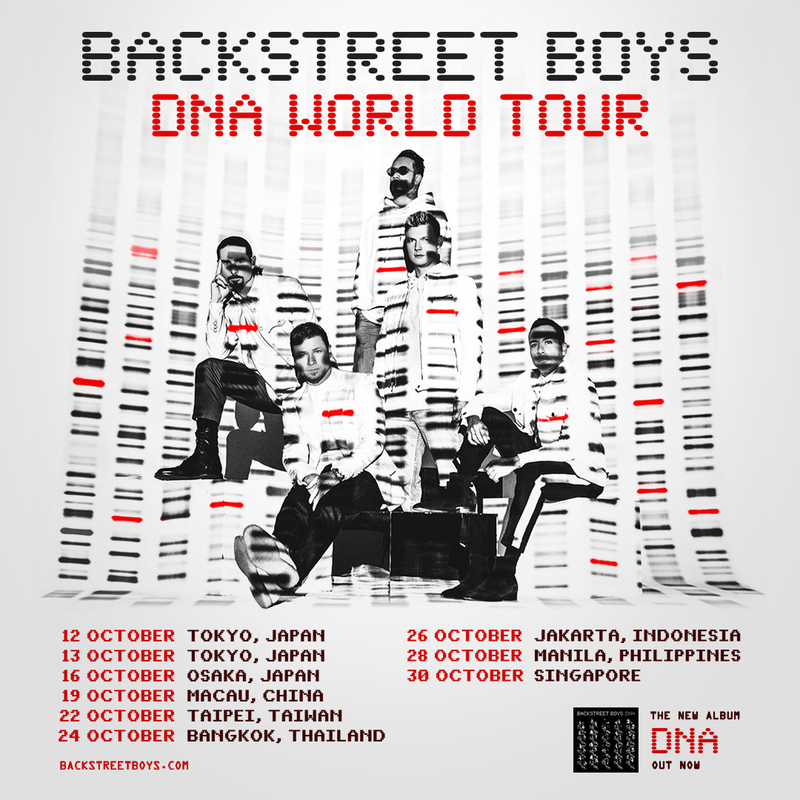 Just announced: The boys are bringing their DNA World Tour to Japan and Southeast Asia this October! +Fan club pre-sales for Singapore will take place Thursday, 28 March beginning at 10:00AM SGT through Friday, 29 March at 11:59PM SGT. Fan club members get first access to tickets and meet & greets. Not a member? JOIN NOW. Stay tuned to backstreetboys.com for info on pre-sales, on sales for the remaining dates, meet and greet upgrades and your chance to meet BSB!